By Preethi Ranjit in Internet. Updated on July 19, 2016 . In 90s, VR (Virtual Reality) was known among the elite gamers alone, but over time it became more and more accessible to the world outside of gaming. Today you can see YouTubers, Facebookers, news media, and supermarkets using a more readily usable form of VR to attract more audiences: the 360° panoramic video. These 360° video scenes can be viewed from all angles. To view one in the desktop, you can use your mouse/touchpad and click then drag the cursor on the player to change your view. In mobile phones you can use your fingers to do the dragging on the screen, or even move your phone around to change the angle of view automatically. The viewing experience can be improved further on the phone, using gadgets like Google Cardboard (you can make your own DIY version too). But first, what is 360° video? With the right tools, creating a 360° video is a walk in the park. It’s captured with the help of a camera system that typically has 6 cameras attached to a special stand, one each on top, bottom, front, back, left and right, covering all the sides for a 360° view. Then the videos captured by the individual cameras are stitched together into one panoramic video using special software like Kolor (we’ve an entire post on how to go about it that; check it out here). With this much accessible technology, almost anyone can record their most treasured memory in all angles – literally. 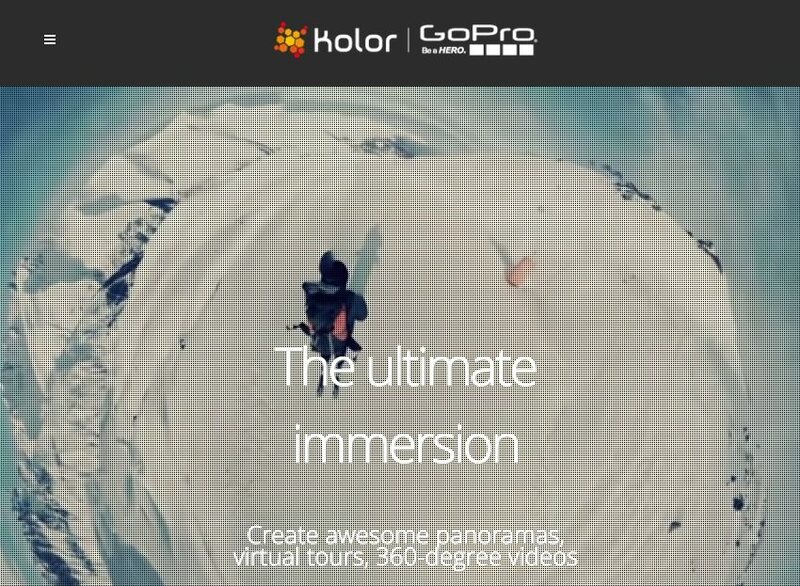 Let’s take a look at some 360° videos that are already making the rounds on the web. The new 360° videos are different from advanced VRs in the sense that they are meant to be used as a means to solely explore, something that comes really handy in education. Kids (and adults) can see a visual subject in 360° making concepts easier to grasp and understand. Great customer experiences can not only bring in new customers but also effectively retain the ones who are loyal to your services. Businesses are always looking for ways to improve their customer experience, and 360° videos are a feasible and affordable option. Take a look at Target’s “The Haunted Dining Hall”. Yes, it’s an ad for items you might need to recreate this haunted dining hall, but this will probably an ad that you will watch from the beginning to the end, and even replay. If the buttons are a nuisance, then just click (or tap with your finger on mobile) anywhere in the video and drag with your mouse (or finger). Besides education and business, these videos can also be used for some greater causes. They let you get into the thick of things, basically stepping into someone else’s virtual shoes and see the world from their point of view. Take for example this New York Times’ documentary “The Displaced” that follows three children who’re living with the consequences, and in the middle of a reality, created by War. You’ll be thrown into the center of it all watching how children cope with life after their surroundings have been left devastated and barren. On a much lighter note, you can also find videos like this 360° vlog of three friends’ stroll along the Brighton beach. Sometimes people just want to wind down and get lost in places they haven’t seen before and immerse themselves in its surroundings. 360° videos are a great and easy way to capture scenic places and see things from your personal point of view. After this, telling people that you wish they were there will probably lose its relevance since all they have to do is check out these 360° videos. Of course, the movie industry will not give this technology a pass. In fact, movie studios and franchises can definitely tap into the 360° video technology to give fans and followers a closer and more in-depth look into the fantasy realm they probably wish to be in. See this Hunger Games VR experience as an example, where we live through the highlights of the Hunger Games movies while moving through a thick forest much like the ones Katniss and the other tributes had to fight for survival in. There’s also an entire YouTube playlist of 360° tour of sets of Fox’s popular Scream Queens thriller serial. If you’re a videography student, professional or just into video technology like this, I recommend you explore 360° videos further. It’s a whole new way for the audience to take control of what they are seeing, indicative of where the future of video is heading. 360° videos open up great opportunities for businesses and NGOs alike to attract people for their cause, so it’s most definitely going to evolve over time. Get empowered with more advanced tools to really move your viewers.